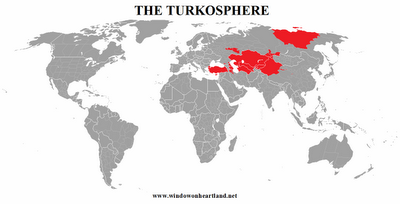 Neo Pan-Turkism: US Weapon for Control of Eurasia? On Saturday last week, Iranian General Yahya Rahim Safavi accused Turkey, Saudi Arabia and Qatar of serving US and Israeli interests in Syria aimed at weakening “the resistance axis comprising Iran, Syria and Hezbollah.” Commenting Ankara’s position on the issue, the senior military adviser to the Supreme Leader Ayatollah Ali Khamenei called Turkey “a strategic competitor of Iran,” in the wake of Iranian allegations of arms supplies to Syrian opposition by the West and Gulf Monarchies with Turkish help. Behind the rhetoric of Safavi’s words lurks a fact: despite a certain cooling of mutual relations, Ankara is still one of Washington’s closest allies, and the only one able to contain the rising Iranian power in the Middle East. NATO member since 1952, Turkey served as an important base for the 1991 Gulf War against Iraq, being currently one of the most active countries in the ongoing stabilization efforts in Afghanistan. 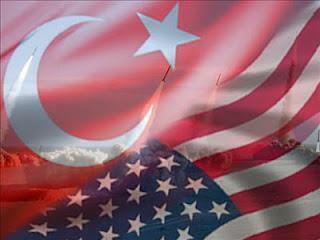 But Ankara’s importance for the US goes far beyond the Middle East. Major outpost against the Soviet Union during the Cold War, Turkey still hosts between 60 and 70 US nuclear weapons, 10 to 20 of which are reserved for delivery by Turkish aircraft. Such a deal, although kept under the multilateral framework of NATO’s nuclear sharing policy, actually proves how strategic is still perceived the Turkish-American alliance by both Ankara and Washington. Bastion of secularism within the Muslim world, from the American point of view Turkey is the only power whose imperial ambitions in Eurasia match those of the US, increasingly worried about the possible establishment of a continental alliance between Iran, Russia and China. With 75 million inhabitants living on an area of 783,562 km2 , the Republic of Turkey is just a small part of the greater Turkosphere, which comprises at least thirty-five Turkic languages spoken by more than 300 million people across a vast area stretching from the Mediterranean to the Tien Shan. Among the Turkic peoples are both independent nations such as Azerbaijan, Kazakhstan, Kyrgyzstan, Turkmenistan and Uzbekistan, as well as other nationalities such as the Qashqais in Southwestern Iran, the Bashkirs, the Chuvashians, the Karachays, the Nogays, the Tatars, the Yakuts and several more both within and beyond the Russian Federation, including the Uyghurs in China’s westernmost province of Xinjiang. The dream of uniting this composite mosaic of peoples into a common Turkic state brought to the birth of Pan-Turkism, at the end of the XIX century. Since then, the Pan-Turkist ideology has historically served the interests of all those powers interested in disintegrating Russia (first imperial and then Soviet) from within: the Young Turks’ Ottoman Empire, Piłdudski’s Poland, Hitler’s Germany. The collapse of the Soviet Union, with the consequent birth of newly independent Turkic countries, has given new life to Turkish imperialism. Fuelled by Turkey’s economic dynamism and increasing geopolitical importance, Ankara’s Neo Pan-Turkism is nevertheless divided over the scope and shape of the new Turkish order. If creating an empire that includes also the Turkic areas of Iran, Russia and China is not a viable option, Turkey could nevertheless use its cultural influence to destabilize those regions, thereby strengthening its influence in the Caucasus and Central Asia at the expenses of Tehran, Moscow and Beijing. Freed from foreign influence, Azerbaijan, Kazakhstan, Kyrgyzstan, Turkmenistan and Uzbekistan may then be incorporated into some kind of Turkish-led Commonwealth. In this sense, given Ankara’s membership to NATO, the Neo Pan-Turkism is not only the ideology of a new imperial Turkey, but also a powerful weapon through which the US aims to secure control over energy resources and transportation routes from Central Asia and the Caspian Sea. Turkey has made its move: will the Shanghai Cooperation Organization, founded by Russia and China in June 2001, be able to efficaciously respond to the challenge launched by Ankara, and secretly backed by Washington? From the answer to this question will largely depend the future geopolitical order in Eurasia.